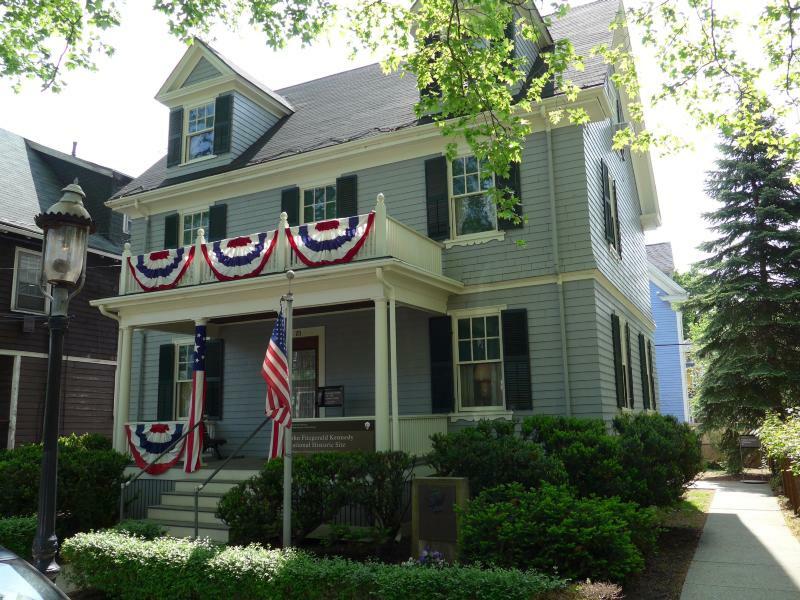 It was ninety-nine years ago, in a two-story, nine-room house at 83 Beals Street in Brookline, Massachusetts, that John Fitzgerald Kennedy was born to businessman Joseph P. Kennedy, Sr. and Rose Fitzgerald-Kennedy on Tuesday, May 29, 1917. As we look ahead to the Kennedy Centennial in 2017—marking the one hundredth anniversary of President Kennedy’s birth—it is worth looking back at that significant year, 1917, and the world that greeted the infant who would become the first president born in the 20th century. When John F. Kennedy was a mere six days old, the first-ever Pulitzer Prizes were awarded. They began when newspaper publisher Joseph Pulitzer allocated in his will $250,000 to Columbia University to establish awards covering journalism, letters and drama, education, and traveling scholarships. Those first prizes were awarded on June 4, 1917. 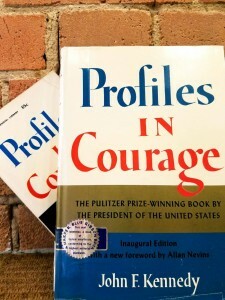 Forty years later, Senator John F. Kennedy received the Pulitzer Prize in Biography for his best-selling book, Profiles in Courage, the stories of eight U.S. senators noted for their bravery and integrity. On October 19, 1917, Dallas Love Field opened in Dallas, Texas. 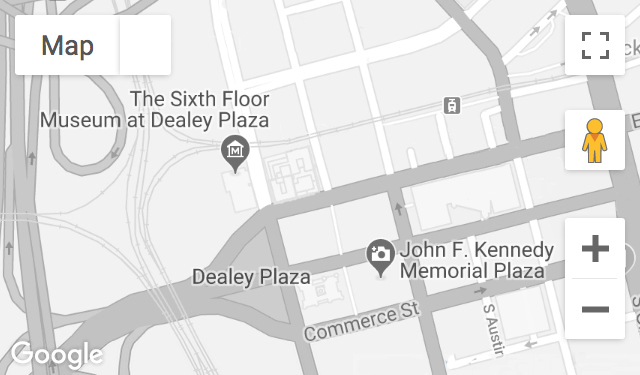 The site, recognized worldwide following the Kennedy assassination in 1963, looked quite a bit different 46 years earlier. The 700-acre Love Field was established as an Air Service Field to train pilots after the United States entered World War I. The 136th Aero Squadron was the first unit stationed at Love Field. The airport would later be used for training and ferrying during World War II, while young John F. Kennedy was serving in the U.S. Naval Reserve. 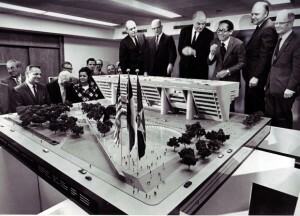 A model of the new Dallas City Hall is inspected by architect Harris Kemp (standing, from left), City Manager Scott McDonald, Mayor Erik Jonsson, and Architects I. M. Pei, Easton H. Leonard and Terrell Harper as City Council members look on Tuesday, April 22. The model will be displayed in the present City Hall lobby. Of course, John F. Kennedy was not the only notable figure born in 1917. Other individuals who share the president’s birth year include actor and entertainer Desi Arnaz (a future Kennedy supporter); jazz singer Ella Fitzgerald (who performed at President Kennedy’s famous Madison Square Garden birthday salute in 1962); award-winning architect I. M. Pei (who later designed the John F. Kennedy Library and Dallas City Hall); Rat Pack star Dean Martin (who campaigned for Kennedy in 1960); Special Assistant to the President Lawrence O’Brien (who was traveling with President Kennedy on the Texas trip); and Doctor Who creator Sydney Newman (who had the premiere episode of his long-running BBC series delayed by assassination news coverage on November 23, 1963). Also born in 1917, in the city of Floresville, Texas, was another significant figure: future Texas Governor John B. Connally.